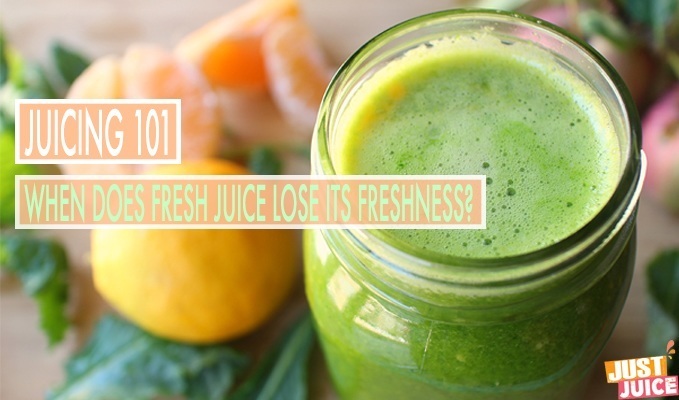 / When Does Fresh Juice Lose Its Freshness? Some days, my schedule is completely clear of obligations and I can juice to my heart's content. On other days, I really wish that I could juice a month's supply and drop some magic "fresh pill" into the concoction to keep it nice and fresh forever. Of course there is no such magic pill and fresh juice does lose its freshness after awhile, which is why it's so important to drink it immediately. In fact, fresh juice should be consumed within 20 minutes for the most nutrients. Why do I have to drink fresh juice right away? Of course, you don't absolutely have to. 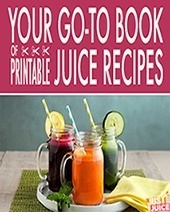 If you know you really need to juice on-the-go, you can follow these juice storing tips to retain some of the nutrients in your juice for a few days following juicing. But overall, fresh juice is best consumed fresh - and that means within the first twenty minutes. The reason for this is simple: Fresh juice - and all its benefits - come from its freshness. As soon as you juice fresh produce, you're breaking open the cell walls of these nutrient-rich fruits and veggies and activating the nutrients - the vitamins, enzymes, minerals, phytonutrients, chlorophyll, etc. - found in the produce. Many of these nutrients are time-sensitive. Just as you wouldn't slice an apple, leave it out to turn brown and shrivelly and then consume it, the same logic also applies to juice. The process that causes apples to go brown so quickly is known as oxidation, which is simply exposure to oxygen. Juice is even more susceptible to oxidation since every part of the fruit or vegetable is being exposed to air. Oxidation is natural and it's not the worst thing in the world, but it does reduce the enzymes and vitamins in the fruit and veggie juices, defeating a large part of the point of drinking such juices. Even when there's no visible color alteration in the juice, the same process of oxidation occurs. People commonly recommend adding a squirt of lemon juice to sliced apples or even to halved avocados to prevent signs of oxidation. Whereas this certainly helps an apple or avocado from turning really brown, really quick - the vitamin C in lemon juice (which is an antioxidant that fights oxidation) will only slow oxidation, not prevent it. When fruits and vegetables are juiced, adding lemon juice may slow the oxidation a bit, but it won't be able to protect the integrity of the juice against exposure to the air. With prolonged exposure to air, the vital enzymes and nutrients in the juice begin to deteriorate and are mostly gone within twenty minutes time. Another reason to quickly consume fresh juice is that it goes bad really quickly. I learned this the hard way when I waited nearly 40 minutes to down my first cup of red cabbage juice (I just couldn't get used to the taste) and found it nothing short of foul. The old adage, "Good things come to those who wait," is absolutely false when it comes to fresh juice. So don't wait! Drink up. 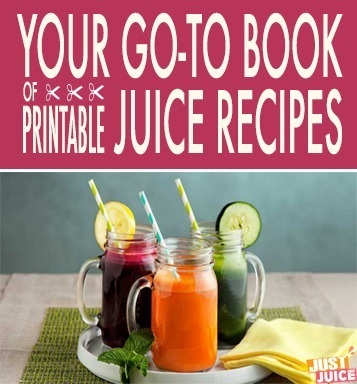 Want to see more common juicing mistakes? Keep in mind that how long fresh juice lasts depends on the juicer that you're using. Centrifugal juicers - such as the Jack LaLanne juicer and most of the Breville juicers - operate a high speeds, which produce heat and introduce oxidation into the juicing process itself, compromising the freshness of the juice. 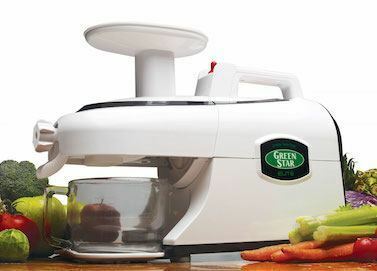 Juices made with these juicers really should be consumed immediately - at most within a few hours. What is different in juice if it is put in the freezer right away? In addition, David Wolfe (Naked Chocolate, Amazing Grace) says that freezing destroys between 30% and 66% of enzymes. Still, freezing fresh juice is better than not juicing at all and I sometimes do it for the sheer convenience it provides. Sure it’s not perfect, but if you’re short of time, get some mason jars, make sure the freezer is set to zero degrees, and store away! 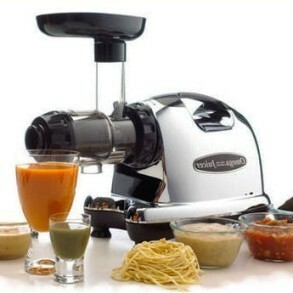 Do you know if a Sage NutriJuicer a twin gear juicer? So far all I’ve read on this “oxidation” issue are anecdotal stories. One person holds a belief, states it, and then it gets repeated over and over again and held as truth. I want to know this: Are there any REAL studies by reputable universities that have researched this issue? What if the “oxidation” and “enzyme decay” is either wrong or severely distorted? I’ve google this issue and I haven’t found one reputable study. I would really be interested if any of you know of any. It’s simple, squeeze a couple of oranges into a cup, drink half of it straight away then try it again the next day – it will taste foul. Sure it will taste foul, that much is true. But, that has much more to do with all the naturally occurring bacteria and yeasts that exist on fruit and vegetables. Fresh juice is a buffet for these lil buggers and they are quick to feast. Unfortunately, the byproduct most of the time is foul smell and taste. I agree with you completely, Ron. People often speak with sudo-authority when there is simply no evidence to support it. In this article, for example, we have the 20 minute claim based on the discolouration of an apple. Then, if you use a certain type of blender (not the best) it’s 24 hours, and the best ones (with affiliate links) are 72 hours. Wow! Twenty minutes to twenty four hours is a 7200% increase! I bit of common sense should prevail. When I juice, I refrigerate immediately in a tall container, several pints at a time. The only part of this juice exposed to the air is the surface area – a minuscule part of the whole volume – and I have never seen evidence of discolouration, or degradation of taste, in 24-48 hours. I suspect that there is very little reduction in nutritional value during this time, but….I am guessing, of course, as is anyone making a claim of 20 minutes. It just doesn’t make sense. I agree with you. Where are the studies that have measured this? If I keep a piece of broccoli, or celery, in my fridge, it starts to look a bit floppy after 5 days or so. Does that mean they have no nutrients? I suspect they may have lost a tiny amount of their full potential. I think similar is true of juice fruit and vegetables. Perhaps they have a reduced shelf-life due to having been broken down, but I’d be fairly sure the nutritional content would be largely in tact for at least 24-48 hours, if not a little longer. All conjecture, of course. Do you have any non-anecdotal, scientific evidence backing any of the claims you’ve made here? Because everything here appears to be conjecture. If you are drinking carton orange juices, there is nothing in that except orange flavored sugar water with all the enzymes boiled and processed out of it… we use a hydraulic slow press machine at 10,000 pounds of pressure, we can get about 2.5 days out of the juices before the taste starts to go off, then there is another 10-12 hours that it is still palatable. I have a Nutri Bullet and make vege and fruit juices together. Will they still be nutritional ? Another suggestion is to prep fruits and veggies in advance and store them (here’s a simple guide!) and then simply blend them in the morning – it’ll definitely cut down on the “making” time and you’ll get a higher dose of nutrients. Hope that helps and happy juicing/blending! 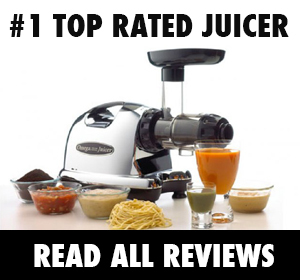 What about Juicing with a Vitamix? Would this fall under the 20 minute timeline? or the 72 hour timeline? Hi Alan, good question! The Vitamix, ‘though it produces a nearly-juice-like smoothie, is still a blender and it seems that smoothies oxidize more slowly than juices, probably thanks to the fiber content. So that’s good news for the freshness of your Vitamix smoothies. Just keep in mind that as soon as you break down fruits and veggies – be it in smoothie or juice form – you’re introducing oxygen into the mix. Oxygen then starts to break down the nutrients so the rule of thumb is the sooner you drink your smoothie, the better. Of course, if you really cannot drink it right away – just make sure you store it sealed tight and drink it within 24 hours. You could stretch that to up to 48 hours without the smoothie going bad, but for the best freshness, nutrition and of course, taste – within 24 hours is best. Hi. i buy 12 different kinds of veg along with their leaves intact including red beetroot with leaf, except for carrot leaf but all other leaf is fair game. i also add in raw ginger without peeling and lots of fresh spinach leaf. I then blend them in my nutri ninja juicer at high speed. when done i store the juice in a large steel pot with a lid which i then place on the top shelf of my fridge (not freezer) it gives me enough juice for about 12 days which i consume each morning for breakfast. The quantity i drink is equal to a nutri ninja mug. I cant feel it doing me any harm being stored so long in the fridge but i’m wondering if i’m getting all the vits into my system or if some of this is destroyed during storage. Hi there. thank you so much for your article it was quite informational. I just have a question and wanted to seek out your opinion. Every morning after I wake up I always make myself a home-made vegetable juice. My ingredients are 1 leaf of Kale, 1 leaf of Swiss Chard, 1 fistful of Spinach, 1 Banana, 1 fistful of Blueberry, 1 cup of Almond Milk, I then put all these into my blender and mix them up and I drink it right afterwards. My question is regarding the storage of my vegetable and fruits, since I always store them in my freezer because I’m trying to prolong the freshness of these produce, so every morning when I take them out and get them prepared to make my juice, is it a good idea that I would leave them laying on the counter-top to be thawed for a while just so they are not so cold when I make my drink because otherwise the drink would be really cold when I’m drinking them? The reason I do this is because my friend told me I should drink my vegetable juice right after it’s made because once the cell or molecule of these produce are broken in the blender their freshness starts to go away very soon. So that’s why I choose to leave them outside to be thawed first and then I make the juice so it’s not so cold by the time I drink it. But my concern is every time I take them out the freezer and let them thaw they start to become very soft and mushy, and I don’t know if this will have any negative impact on these produce in terms of their freshness and nutrition. What do you think? Your advice is much appreciated. I´ve been into juicing for many years now and even worked in the industry of juicing! 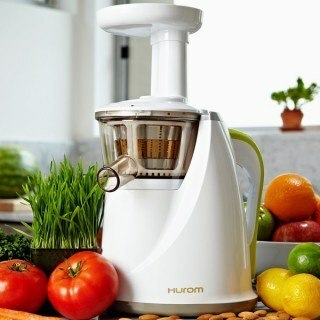 By using a regular juicer you don´t get much enzymes and nutrients, because the blades of these machines are so powerful they literally cook the fruit or veggie you are juicing, and so the vitamins and enzymes with it! !